I just did a sketch of a gnomish sorcerer and wanted to share it. I didn't crop in a forum favourable fashion and therefore you have to click here to see the image. Great detail on the gnome and I LOVE the dramatic Meatloaf backdrop. How I feel when someone has done some great fanart. Love the piece. I almost want the game to have some form of loading time just so we can see some kickass splash screen arts.... maybe just an unlockable gallery with tons of fanarts like this. Awesome work! AWESOME bla. Seriously. Did you make your avatar as well? I really, really wish I could do pixel art. I love it. Hah, awesome! For BOTH fanart pieces. fall_ark's pic reminds me of my original art for eaaaaarly alpha DD. Gigantic unnatural character heads ftw! 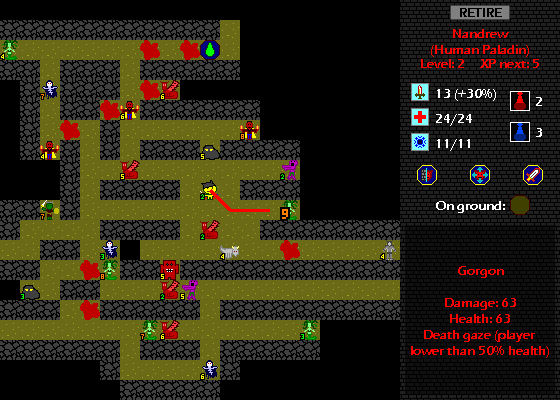 It also supports the idea that a great idea with "passable" graphics can become an amazing game. 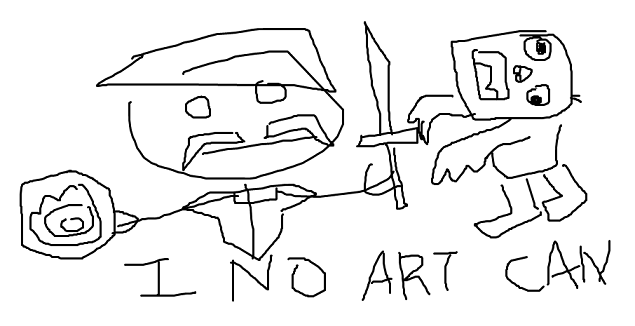 I've had a game idea I've wanted to try for years but the fact that "I art no can" has held me back. Haha, my art has always been AWFUL, but thankfully there's always people in the indie gaming community who are patient enough to deal with my visual nightmares to get to the meat of the game. Not sure, whether i should finish the TT altar on this one. It works nicely this way imho. Cool stuff, Bla! Congrats on making the front page.